The Toxic Oil Syndrome (or Síndrome del Aceite Tóxico in Spanish) was a mysterious disease that appeared during the months of May and June of 1981 in Spain, focussed at first in the vicinity of Madrid and then spreading to provincial areas, especially the northwest. In the end, there were 19,828 cases and 315 deaths reported by June 1, 1982. Patients typically presented initially with nonproductive cough, dyspnea, pleuritic chest pain, headache, fever and bilateral pulmonary infiltrates. Though the symptoms initially resembled a lung infection, antibiotics were ineffective. At first, the epidemic was attributed to infectious causes (bacterial or viral), but no infectious agent was ever consistently identified. 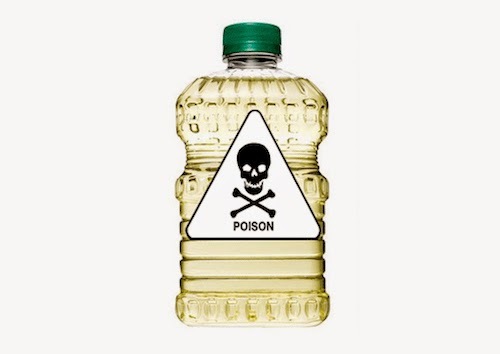 In the end the most likely cause of Toxic Oil Syndrome was the consumption of cheap colza oil (a cousin of rapeseed oil procured from a similar species of Brassica rapa) intented for industrial use that was adulterated with aniline and illegally refined. It was then fraudulently sold in unlabeled 5-liter containers as olive oil to be consumed in cooking, salads and other foods. The commonly accepted hypothesis states that toxic compounds derived during the refinement process, used to remove the aniline and to denature oils intended for industrial use, were responsible for the health problems. To be absolutely sure that you consume pure, unadulterated olive oil, buy your Greek olive oil here.